This is a preliminary listing of the Table Of Contents for Janiece’s biography. After 15 years of gathering information, living, and attempting to write here and there, here we are now, beginning. 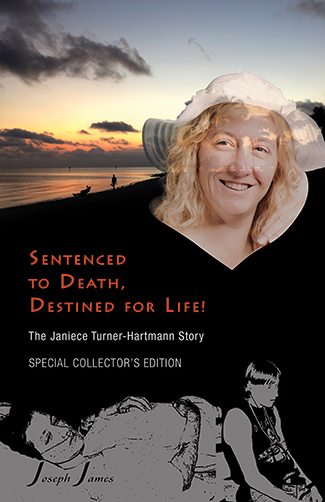 We are currently titling the book, “Sentenced To Death, Destined For Life” with a subtitle of “Tell My People, I Love Them.” This information is being shared, in these early stages, to encourage those who knew Janiece during any of these times to add their comments or stories to these particular windows of time in her life or to contact us through the contact form of this web site to communicate with us personally. Due to spam issues, we have chosen to use this form as a first line of defense. If you have a story to share, we would rather you contact us, than use the comment box. 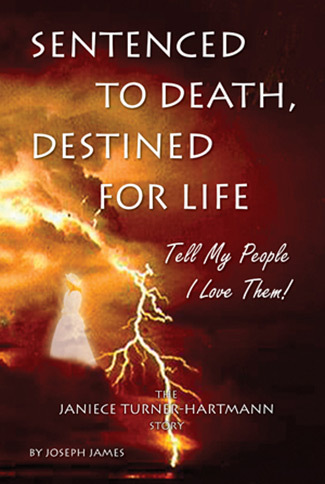 This book is being written from Janiece’s perspective to capture and illustrate the journey of one woman through a series of events and traumas from a sentence of death from a doctor’s prognosis to a miraculous intervention by the Lord of total healing and wholeness. You might have known her as Janiece Elaine Turner. She is now, Janiece Elaine (Turner) Hartmann. The main purpose in writing this story is to proclaim the goodness and miraculous power of our loving heavenly Father. He does care for all of us and wants each of us to walk with Him on this journey of life. It doesn’t matter how bad the circumstances or situations we find ourselves in, He has a plan to help. Can we hear? Will we dare to believe? We are being obedient to set aside time to put this book together. I have tried, over the years, to write in between the work and ministry, but there just hasn’t been enough time. We are slowing down our work load and lightening our budget to be able to devote time to this project. It may be that we will pre-sell some books with special incentives to raise some funds so that we can complete this project. Also, we will accept any donations to help. Our contact page contains our mailing address. We do not have a 501.c.3 designation, so keep in mind that any donations might not be deductible based on your particular tax situation. If you would like to help us by purchasing my first book, “Destiny Path Of Life: The Journey Begins“, that would be a great help. It shares the gospel in an allegory fashion. Our goal is to publish Janiece’s book sometime in September of this year. We welcome your thoughts, help and prayers so that we can complete this project in His time schedule. We are also available to travel, share and minister as we receive requests, funds become available and as we are directed by the Lord. It is our desire to see all people made whole and find His love. He is worthy of all our love. May you find your destiny and your personal walk with Him. May He bless your life with the fullness of His abundance. Thank you for your understanding and all of your help. We will be posting updates on this blog as we continue to go forward with the book.